Remember Tea with the Black Dragon? I chatted about it here. Well, this is the second in the series, but it has nothing to do with the first. 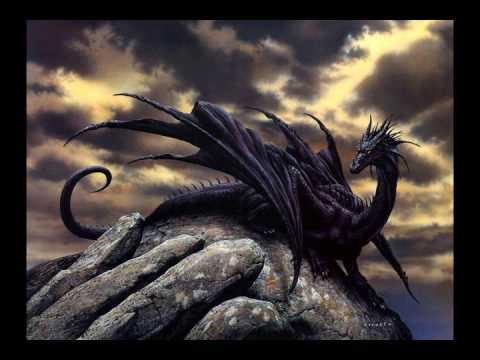 In Tea with the Black Dragon, Mayland Long, our dragon in human form, helps a musician find her missing daughter, and ends with the middle aged Martha and Mayland becoming an item. Now in Twisting the Rope, Martha, the fiddler, is on tour with a Celtic music group, and Mayland is acting as their tour manager. And we have another mystery. I could really get into this series. Dragons, music, mysteries. What’s not to like, right? The group includes a last-minute substitute pipes (bagpipes) player, grouchy, mean to everyone, and on everyone’s last nerve. He especially enjoys picking on the young Irish guitar player. The group also has a lovely lady harp player, and I forget the others, although I do remember that one of them is a California dude. You know the kind – blonde hair, new age-y, on a non-mucus diet. Well, the pain-in-the-patooty piper is found hanged and drowned at the end of the waterfront pier, and we do have a couple of possible suspects within the group, especially seeing that nobody liked him. But was their distaste strong enough to make him pay the piper? It is a great story, filled with lots of twists and turns, with the ‘normal’ turning ‘para’ only just a tetch, and it isn’t the dragon, either. Well, I mean, other than his being a dragon. 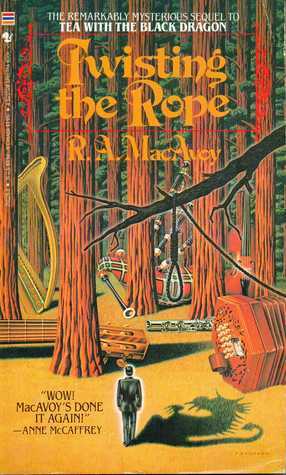 The title comes from a skill the Irish lad showed the harpist, how to twist dried long grasses into a sturdy rope, used by farmers and husbandmen to make temporary halters and leads for their beasts. Guess what the dead guy was hanging from. Right. Good guess. 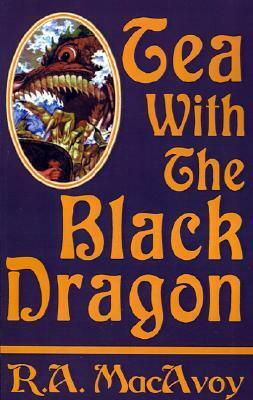 Most say they didn’t like it as much as Tea with the Black Dragon, I think more because it was much less fantasy. I, being the contrarian that I am, actually enjoyed it more. Well, that’s the reason the universe has chocolate, vanilla, and pistachio. You want a little peace and quiet, and a small, OK tiny house, landscaping carefully maintained for you, neighbors you almost never see or hear? I have just the place for you. A cemetery. A graveyard. You know, the acreage with a fence around it because people are just dying to get in? Mr. Rebeck has lived in the city’s graveyard for 19 years, after running away from life. He likes it there. 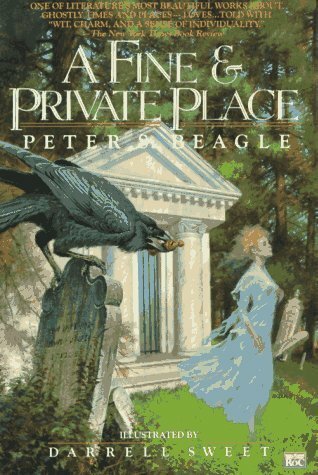 He stays in an abandoned mausoleum, and a crow brings him food. He never leaves the cemetery. He cannot bring himself to pass through the gates. Michael Morgan is dead. It is not working out quite as he had thought. He managed to leave his coffin and is now free to roam around the place, were he sees Mr. Rebeck, who is not dead. And Mr. Rebeck sees him, and can hear him. And then sweet Laura appears, also deceased, and natch, she and Michael fall in love. This is just the sweetest, fantasy/paranormal/almost mostly normal story. Mrs. Clapper, widow of a Certain Age, comes to visit her dearly departed husband in the cemetery, and meets Mr. Rebeck. But she does not see the two ghosts. Apparently, that is a gift that not all people have, but the night watchman also has the gift. The raven is a hoot. He is a lousy lander. He laments that he has never made a decent landing ever. I kept hearing the raven’s conversation in the voice of Eddy Murphy. The book has a Neil Gaiman feel to it, whimsical, quirky, and filled with the stories and musings about love. And the author wrote this when he was only 19 years old. When I was nineteen years old I was still trying to decide which color socks to wear. Magic. Wizards. Spells. Demons. You know, everyday stuff like that. Ho-hum. Yawn. 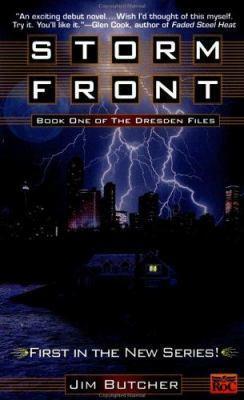 hahaha This is the first of the Dresden Files series, of which there are about sebenty-lebenty books. The genre is fantasy/paranormal/magic/mystery. Kind of noir wizard detective in the 40’s Raymond Chandler style. You know, Sorceress in A Red Dress. As written in 2000. Dresden is a wizard working as a P.I., or a P.I. working as a wizard. A woman calls his office, needing his services. And that’s where it begins. Then it continues when the police call him to view a double murder where the victims’ hearts have been …. well …. exploded. Egad. Obviously done by magic, and between the chick and the gruesome murder, Harry is suddenly busy. Fun read, but I’ll take a pass on the remaining series. I can only take so much summoning of demons before I get hungry and want to summon a pizza. The book begins in the last year of Queen Victoria’s reign, in the red brick terraces of the drab brewery town of Norley, England, and Angel is sixteen. She attends a private school paid for by her aunt who works as a lady’s maid for a wealthy woman. Angel has utmost disdain for her provincial life, her working class family, her schoolmates, her neighbors. Angel dreams of more, finally refuses to go to school anymore, and feigning illness, stays in bed writing a novel. She sends it to Oxford Press, who pass on it and return it. She scrapes together enough money to send it to another publisher, whose name she scribbled from a book in the library. Although the book is awful, over the top, and inaccurate in so many areas, the publisher takes a chance on it, and it becomes a great hit with the reading public, although the critics hate it and savage it terribly. Angel is completely egocentric, cares about no one except herself, continues to write book after book and becomes wealthy herself. She has wealth, but no manners and no taste. One day while out on a drive she comes across the dilapidated manor home where her aunt once worked when it was in its heyday, and because it was always her dream house, buys it and restores it. She marries the somewhat neer-do-well painter son of a local country gentleman. The husband’s unmarried sister, who idolizes Angel, comes to live with her, and stays with her all her life. The husband is injured in the war (First World War), comes back to the home and falls into depression, does nothing, gives up his painting, and eventually drowns himself in the local lake. Interests and trends change, her wild crazy fiction style goes out of style, and she and her companion friend become mired in poverty, slowly selling off all of the furnishing and artwork in the house so they would have food. They have no fuel, and the editor/friend of her publisher, now elderly himself, is appalled at how low she has fallen. 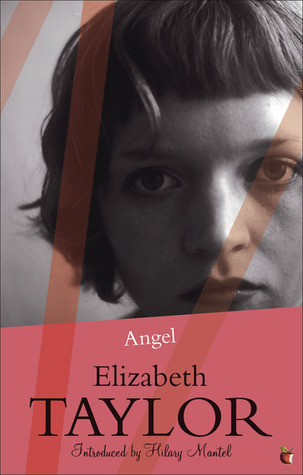 Angel is strange, eccentric, mean, self-centered, and one of the most unlikable woman protagonists in fiction. Great book! It really was! The English author, Elizabeth Taylor, was born in the beginning of the 20th century, and was a popular if not terribly prolific writer, who has been compared to Jane Austen, Barbara Pym and Elizabeth Bowen. The quotation marks will give you the first clue in this sci fi fantasy mystery that I did not write that plot description. I am tired of writing plot descriptions so I have taken to stealing appropriating borrowing descriptions from other reviewers or the official blurb. And yes. There IS a dragon. Deliciously, he is elderly, and in human form, out in the world searching for that elusive thing — the Truth. Turns out, Martha’s daughter got herself involved in a scheme to embezzle from a bank, and things with her ‘partners’ are not going well. So not well they want to kill her. Some days are like that. 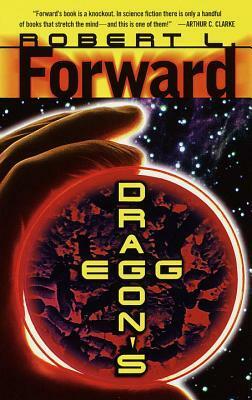 So Mayland gets his elderly self involved and what starts as a fantasy about a dragon slowly turns into a thriller. Lovely writing, fun plot. Great read. There is a sequel. I may read that. 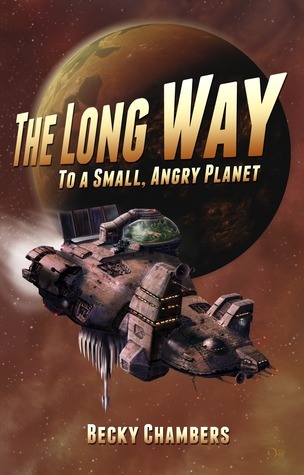 “Follow a motley crew on an exciting journey through space—and one adventurous young explorer who discovers the meaning of family in the far reaches of the universe—in this light-hearted debut space opera from a rising sci-fi star. Yea! Road trip! See, here’s the deal. Rosemary comes from money. Mars elite money. Money from her dad having sold weapons of mass destruction to both sides in a space war. He is finally taken down, tried and in prison, and Rosemary wants to escape the notoriety, so uses up just about all of her money to get a new identity, passport, documentation, and takes a job on the Wayfarer as clerk. Which just shows you to always expect the unexpected. Definitely a fun read, with delightful characters, some of which seem to blatantly represent some human types, but what I liked about the book was that there were a whole lot of species, and they didn’t all look like some version of humans. I snagged the next in the series, A Closed and Common Orbit. We’ll see how that compares with this first effort.